I’m so excited…it’s almost that special time of year, canning season! Of course, even though you can saving so much money by canning your own fruits, vegetables, and meats, there is still the added expenses of having to buy new and updated canning items. Today I’m going to share with you a few tips I’ve learned over the years on how to find cheap canning supplies to help you make the most of the canning season. Please make sure to share your best tips in the comments section! Save money on pressure canners and water bath canners by looking for used models or getting older models from family members or friends that may no longer be canning. Water Bath Canners are easy to find used at garage sales or thrift stores. With those, you will want to make sure they aren’t rusted and look to be in good overall shape. With Pressure Canners, you want to be a little more careful. If you purchase a used pressure canner, first take it into your local hardware store and purchase a new seal. Then take it to your local Extension Office and have them check that the pressure gauge is working correctly. Lids need to be purchased new every year when you use the standard metal lids. I’ve found the best deals for these in bulk at Amish Bulk Stores or at local hardware stores during late summer when they start to have sales on canning supplies. Rims can be used year after year until they are rusted. I’ve had great luck with finding more rims at auctions and garage sales. Recently I found a huge box of wide and regular mouth rims at an auction (probably with over 200 rims) that I paid $5 for! Basically, you never know when you might find a deal on these so when you do, stock up and save them for later. You could also save money in the long run with purchasing Tattler Reusable Lids. I have had decent luck with these (although there is a learning curve to using them) and I love that you can use them over and over. Things like jar lifters should be purchased new to save the most money on them in the long run. I bought mine several years ago brand new and they hold up just like I purchased them yesterday. You may be able to find these items used at a thrift store or rummage sale but only buy them if they are in perfect condition or you will end up buying them again soon. You might be able to find canning supply kits with these new items on places like Ebay as well. 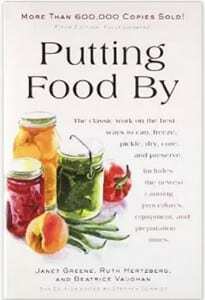 My favorite canning book? Putting Food By! It has hundreds of canning recipes and tips and it’s my go-to book for all things canning. If you have ever wondered about times and temps for various fruits and veggies you will love this book. Ready to get started canning? Make sure to check out all our Canning and Preserving Recipes! Where do you find cheap canning supplies? I am new to canning (last year was my 1st year). It seemed that every week I was running to the store for more jars, or waiting until enough jars were empty to make something else. Just 2 weeks ago I was at a yard sale and found 2 full boxes of canning supplies! I was so happy! I ended up with 65 jars (some in shapes and sizes I didn’t have), 3 boxes of lids, a bunch of rims and a metal funnel. Keep your eyes open, that is the key. Check out yard sales and online classifieds. People are losing the skill of canning. There is many a basement full of jars that no one knows how to fill, (or have lost the desire to put the work into it). The basement gets cleaned out and the jars come up for sale. Many of my supplies came from my Grandmother. I canned for many years with her. When she got to old to stay at home, the family was glad to let me have the canning supplies. I was overjoyed. I feel her spirit there with me when I am canning. I love to share the experience with my own children. They are getting old enough to can with me. My five year old loves to help me with it. It is a skill that I am going to pass on. I know that it is important. but with our food supply being so abundant and cheap right now, people really don’t want to be bothered with old fashoined cooking and preserving. 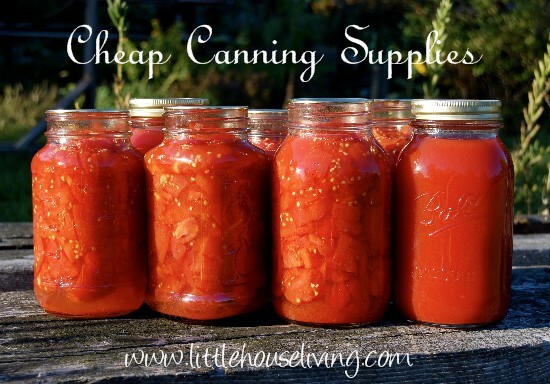 I know plenty of people that think that canning is super expensive and that it is not worth the bother. If you are new to it, it can be a big investment, but once you have the supplies, it sure is great. You do have to do it right, by finding supplies cheap and growing the food or finding it at the absolute lowest price you can find. Right now canning supplies are 20 percent off in our local grocery store I am going to stock up on lids and then I will restock in the fall when lids come on sale again. I am just learning about canning. When you can potatoes and use them later are they mushy? If you were going to make mashed potatoes out of them would they end up runny? They actually aren’t! In fact they are still firm enough that you could fry them up but if you cook them a bit more when you open them you can make some great mashed potatoes. Here’s my tutorial: Canning Potatoes, and you might want to also check out this post: Cooking with Canned Potatoes. Thanks Merissa, I will check those out. But you have to have a pressure canner to do them? Yes you do because they are low-acid. Me too, that’s my favorite and probably my most used canned item! I also enjoy canning but started later in life. My mother had always canned, and I helped her. In 2008 it suddenly dawned on me, I needed to learn. Mother and my aunt were helpful. The Blue book is my best resource. My first year we canned 267 quarts of green beans…with the help of family members. I bought a water bath canner for $2 (estate sale). I bought a 22 quart Presto pressure canner at Goodwill for $49.99. The extension agent checked it last summer. I have replaced the gasket three times in two years. Happy day from middle TN! I have the Presto Pressure Canner as well and I love it, that was a good you got on it! I picked up a water bath canner for free but it’s long since rusted so now I just use my pressure canner without the lid. Merissa you can put the lid on your pressure canner when you use it like a water bath canner. Just leave the weight off of the lid and the steam comes out of the hole. I was reading your love of the blue book. Hopefully this wont offend too many, but we refer to the blue book as the bible. That is how important it is too us. When I started canning 25 years ago I would tell everyone over the age of about 65 how excited I was. Boy, you would not believe the people that would tell me to just come and load up all their old jars! People still call and ask if I want jars (I always say yes-since I will give them to friends). Let people everyone know that you are looking for jars. Go to the local senior center and ask around there. Ask at church. Call the local auctioneer and tell him/her. I have two auctioneers that call me when they know they are going to have jars or canning items for sale. My boys joke that during auction/garage sale season I hunt jars with more passion than they hunt deer. I feels like you can never have enough doesn’t it? My only problem is how to store them all! I have been canning all my married life. My mother canned when I was little but she never took the time to teach me. Of course she was working 40 hours a week and doing that also. I taught myself when I got married (27 years ago Friday). I am always on the look out for jars. Goodwill here has a few from time to time for 25 cent each. I always grab them up when I see them. I also will buy new ones from time to time. I really don’t mine because they more than pay for themselves over time. I have been wanting to try the Tattler lids and rings but have not got around to buying them. Last year we set up a outdoor kitchen to can on and it was wonderful. We do not have air conditioning and heating up the house with canning was terrible. Anyway, enjoy your blog and keep up the good work. I’d love to know how you set up your outdoor kitchen Jeanna, that’s what I’m going to have to do this year as well. We have a large 2 car carport so we use one side of that. My husband works where people bring metal for recycling so he got a stainless steel counter top that is about 5 feet long. We have that set up with a grill on one end and a stove that came from a camper on the other. I then have a two drawer wood filing cabinet beside that where we keep towels, potholders, and some cooking utensils. I don’t have water right there but it is just inside my house as the kitchen is the first room off the carport. We also have a table and chairs out on the carport also and A utility room there with an extra frig, stand up freezer, and my canning supplies and shelves where I store what I can. It really works well for us. Good luck on yours. Jenna that sounds like a canners dream! I grew up in AZ no one canned when one day I got a lot of strewberry and make jam I canned it then froze it out of fear!! moved to PA and now I can like crazy! I get alot of jars and rims at yard sales but check out Target and Walmart at the end of the season, I got the Ball jam maker for 24.00 in the discount pile in October its still 100.00 just look around. I got a long set of tongs for lifting, a jar lifter, a jar funnel, plus a wire thing for making grilled cheese sandwiches (or smores), over a fire or grill; all for 2/$1, in September, at one of our local dollar stores. I’ve had them 4 years now, they are still all in perfect condition. I finally gave away the sandwich (smores) maker to a buddy who loves camping, as I can’t handle camping anymore. I haven’t been camping in years. I love that Walmart now carries a Walmart brand canning lid at a cheaper price! They are definitely not the same quality. I haven’t used them for canning, but I have used them with my foodsaver and they don’t seal unless you stack two together. Therefore I am assuming they are probably a thinner seal or lid all together than the brand name ones I’ve used and haven’t had a problem with. Love all the tips! Last year my husband got hit with a lay off from his job and I got my serious frugal on. I had NEVER been serious about saving money….but constantly complained about our financial situation. I started researching everything I could possibly find to save money and live a better quality of life. I had canned a little bit in years past, but I got serious about canning last summer! A neighbor had a wonderful garden and showed up at our house a couple of times a week with TONS of peppers, tomatoes, corn, etc. and I froze and canned it! 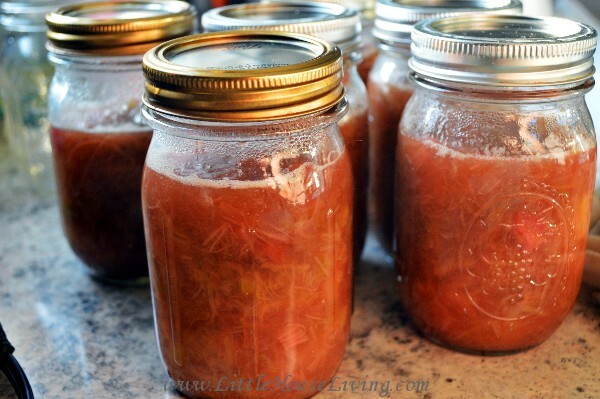 When I realized that I was going to do a lot of canning I worried about spending money on jars…it gets pricey! Well one day a woman that my husband used to work with messaged me on FB and asked if I could use some canning jars. Sure, I said. I figured she would drop off 15 or 20 jars and I was grateful for it! She showed up with about 70 quart jars for me…FREE! God answers prayer…He knew my needs and brought me what I needed! I am SO grateful for those jars! I was very fortunate to have my American pressure canner given to me by my aunt:). I have bought 90% of my jars from my local Salvation Army store for $2.00 a dozen and I feel good shopping there as they help so many . I use 95% wide mouth I prefer them for the ease of filling. Garage sales are also great have great finds as end if season sales . Happy canning all. We camp almost every weekend and we have a three burner camp chef propane stove that is a canners dream, 3 canners at one time , 54000 btu is what the stove puts out, makes fast work of canning. My sister directed me to website when I posted a lament about the state of non-self-sufficiency among the younger generations on my Facebook page. It seems like all the basic survival and money saving skills I was taught growing up in the 60’s & 70’s are deemed ‘Old Fashioned’ and out of favor. I am glad she directed me to this site! It’s nice to know I am not alone with an interest in passing on and am (still) learning skills to keep house and home, particularly canning. I would also like to point out that home-canned good are not only healthier because you grew the vegetables yourself and know the soil & pesticide (if any) used, but also there is no chemical preservatives used as is in commercially canned products. I’ve seem quite a few articles recently about the investigation into chemical preservatives and long term serious illness in later years. Thanks for a great site and keep up the good work! Great advice, thanks so much for sharing. Firstly, I love your site SO much!! I’m on it tons, and seriously considering ordering your Household Management book. As for canning, I can’t live without my lid lifters. It’s essentially a magnet on a stick, but whoever invented it is a GENIUS! I’m so glad you are enjoying the site! If you have questions about the management book just let me know 🙂 I still need one of those magnets! I have canned all of my life and can’t tell you how much I enjoy eating the bounty I put up all year round. I also barter with my goods for things I don’t get for myself, like free range chicken, eggs and venison. Canning supplies are quite an expense so I keep close track of what I have on hand and try to keep a good supply available. If I can get them at thrift stores for less than $1 and they haven’t any chips I get them. People have brought me jars they find in exchange for a full jar of canned goods. I don’t however throw used lids away. I bought a use foodsaver vacuum sealer and use my canning jars to store dry goods, mixes and whatever you can think of that can be vacuum sealed. Not too many of my jars are empty because I store water in them when I’m not using them for food items. It’s quite a cycle, but well worth it. At 62 I don’t think I will stop until I can’t do it any more. My daughter has nicknamed me the townhouse homesteader, but she has seen me do this all of her life. No farm or homestead here, but nothing should stop you from eating well. Great tips. I have always wanted to can! Your tomatoes look so yummy! Thanks for sharing these tips. I didn’t realize you could order online. One thing that works really well with the small mouth canning jars is you can use them on your blender. I have used the quart and the pint jars. The pint jars kind of turn it into a Magic Bullet substitute. I use them for smoothies and they are a lot easier to clean than some of plastic containers you usually get as the small blender jars. Another thought I just had was I bet you could just fill your jars and then blend them maybe before you do the canning process. Course you would have to let it cool down to not blow out the jars so it may not be a complete good thought on that idea. Just another use for the canning jars. You totally don’t need to buy a special water bath canner – in fact, if you’re cursed with a glass-top stove like I am (they are standard in rental apartments where I live), you can’t use one anyway because they’re not flat on the bottom! I just tossed a $3 9″ round cake rack in the bottom of a cheapie enameled stockpot and it works great, although the rack is now so rusted it can’t be used for cake. 😉 I live alone so I don’t need to make the huge batches people with big families need, but this smallish pot can handle 6 wide-mouth or 7 regular-mouth pints at a time, or 12 half-pints because I use the wide-mouth Kerr or Mainstays (Walmart store brand) short half-pints instead of the taller Ball “jelly jar” half-pints and stack them with another cake rack in between. I throw the lids to the Mainstays jars right in the recycling bin and use Ball/Kerr lids instead, but I love how the Mainstays half-pints have “shoulders” which is great for canning sliced fruits, holds them down and keeps them from floating and browning on top. Thank you for linking up to the My Favorite Things Link Party. What great information 🙂 Pinned. Hi, love your sweet little blog. Visiting from The Shady Porch links and now your newest follower! Thanks for the tips. I’m excited for canning season too! I’m going to check out the Amish Bulk Store. I need a new water bath canner. I’ve only been making freezer recipes. Be careful with thrift stores. There are two in my area. One sells canning jars for $0.50 each which works out to $6/dozen. The other sells the jars for $1 each which means they cost more than new from Target or Walmart. I have also had good luck on picking up supplies cheaply at the end if the canning season, last year I found jars and lids on clearance for 80% off, new. Pomona’s pectin uses alot less pectin and sugar when making jam/jellies. Buy it on their website to bulk buy and save money. I always look for canning jars at garage sales but be careful and just run your finger around the top of the jar to make sure there are no chips or cracks. I have even trash picked a canning pot and all sorts of canning supplied. What a wonderful site. I am enjoying reading and adding many things on this site to my repertoire. Thank you so much for sharing your energy and experience. I have a question I hope you or one or your readers can answer. I was so dismayed when I found out that the mason jar lids are only good for one year. What does one do with food one has canned that is over a year old.? How does one organize canning under these circumstances. Are there mason lids that last for 10 years anywhere?Please help me if you can. Bless you. I haven’t heard anything about canning jar lids only being good for a year? Lids are good for many years, especially if stored at room temp. The only thing that matters is the rubber’ish seal around the perimeter of the lid. If in doubt, try one of the lids – if it won’t seal, then your entire group might be bad. I would never throw away a batch of un-bent lids, even if they have been used before. I use them with my Foodsaver, to vacuum pack things like elbow macaroni, rice, etc. FYI: you can buy the half-gallon jars to use with your Foodsaver for vacuum packing as well – this makes great storage that is insect and rodent-proof. 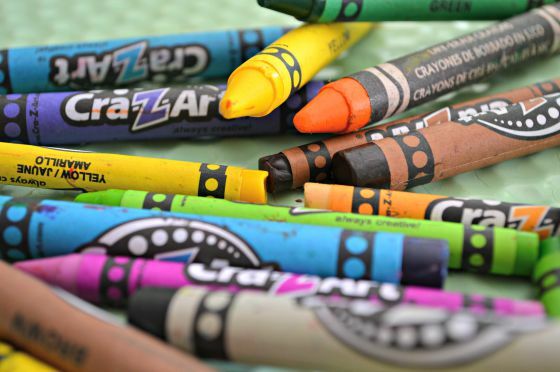 What wonderful tips about finding cheaper supplies. I’ve also taken to telling those who purchase or get gifts of canned goods from me that I would love the jars returned. 🙂 For those who purchase, I basically give them a $1 off coupon (verbal) and for those who get gifts, I just tell them that I’ll swap the empty ones for some full ones from my stash. I’ve gotten every jar returned since I started letting them know. It really helps keep my jar expenses down… I just have to purchase lids this year!! I have thought about using the tatter lids, but they are plastic and I can’t decide if they will hold up in the pressure canner. You can find bulk metal lid and rims at Lehmans.com. I bought 240-320 (depending on the mouth) for $70. Even with shipping it was about $.23 a lid. If you watch the site every once in awhile they have free shipping on orders over $100. I just ordered a bunch last month because of the free shipping. They aren’t ball or kerr lids, but say they will work on any canning jar. All the comments say these lids have a very high seal success rate. I love the site! I just wanted to let you know that Shady Maple in PA isn’t an Amish store. Shady Maple is the gigantic restaurant on the same property. The store itself is called the Goods Store. Just wanted to clear up some confusion. ? When deciding to accept used jars, don’t be afraid to accept old mayonnaise jars. If they fit the canning lids and rims, they can be used for water bath canning (NOT pressure canning, which is usually too much for these jars) things like pickles or jams. Also, any jars that a canning lid fits can be used with a Foodsaver, for insect/rodent-proof dry storage.